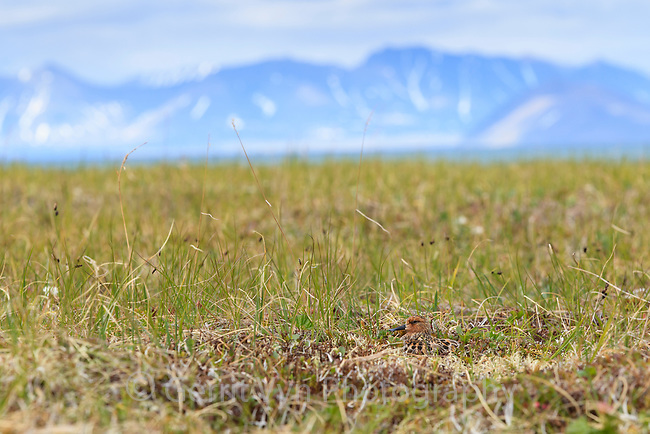 Spoon-billed Sandpipers typically lay 4 eggs in a shallow cup among sedges, moss, and other small plants like crowberry. Finding one is like finding a needle in a haystack – they are incredibly difficult to see. During a period dominated by heavy winds, Gerrit Vyn spent three days in a blind meters from this nest watching and filming the chicks as they hatched and left the nest for good. Chukotka, Russia. July.